President Trump got excited over a Saudi-Israeli scheme to combat Iran, but Trump’s cooperation with Russian President Putin on Syria goes in a profoundly different direction, as ex-British diplomat Alastair Crooke explains. In the early 1920s, an ambitious young British official, Harry Philby, urged a Saudi leader (not then a king) to be bold: He could seize the leadership of the Arab world (using fired-up, Wahhabist forces), and become a true “king.” But first, it was absolutely essential he win British government support for his project; and secondly, the Saudi leader would need to change the image of his peripatetic, mounted marauders – the murderous Ikhwan. Abdul Aziz (in the West, often called Ibn Saud, the first king of Saudi Arabia) succeeded in both (though the latter, he simply had murdered by the British). In 2016, an ambitious Gulf prince, Mohammad bin Zayed, urged a young Saudi (would-be king) to be bold: He could seize the leadership of the Sunni Arab world (using fired-up Sunni forces), and become the dominant power over the Arab world; but first, it was absolutely essential he win Israeli support for his ambition (as this would deliver U.S. consent); and secondly, he must change the image of Saudi Arabia from its Islamist identity, to one more tuned to the Western, financialized, global sphere. Mohammad bin Salman (MbS), a grandson of Abdul Aziz or Ibn Saud, may achieve neither. Why? Because none of the actors in this re-run of history are perhaps as strong as they may think they are. “From the first greetings, Philby was charmed by the Saudi leader,” according to an historical account, and ultimately, he was to convert to Wahhabism, and pass his waning years at the “Court” of the then king. Saudi “royalty” and its unrestrained profligacy has always had a curiously powerful allure for the Anglo-American élites. And it is clear that Trump was similarly charmed during his Riyadh visit (to the extent of overriding his Defense and State department secretaries – preferring instead to embrace bin Salman’s attempt to implode Qatar politically, and to leave Secretaries Tillerson’s and Mattis’s attempts at mediation in the Gulf dispute, twisting uneasily in the wind, with their pronouncements said by a White House official to be “their opinion,” as opposed to the Presidential, tweeted dictum). The result has been a mess for American diplomacy — one that may entail adverse geo-political consequences (for the U.S.). What went wrong? 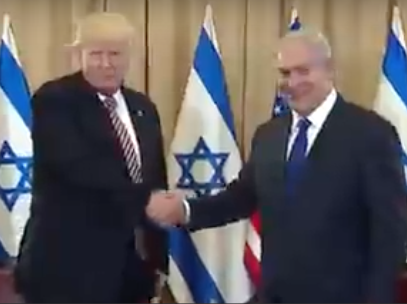 It seems that all sides in this affair oversold their capacities to deliver, and that the “West Wing” became carried away with the dizzy prospect of a U.S.-led Sunni–Israeli coalition that would defeat ISIS, roll–back Iran, “manage away” the Palestinian “issue” from the table of disputes, and give Trump his foreign policy credentials. The contours of this project were that an MbS-led Saudi Arabia would move incrementally towards recognizing Israel, while in parallel, quietly secularizing its Islam, through the embrace of liberal economics (in order to whittle away American Congress hostility towards the kingdom). And, bin Salman would lead a region-wide, Sunni jihad against Iran, rolling back its influence. And, under the pretext of fighting “terrorism,” land a blow on Qatar, Hamas and the Muslim Brotherhood, which was expected to please some key players: the U.S. pro-Israel lobby, Israel, Egypt and Trump. And please the latter, no doubt, it did. This was MbS’s allotted role. 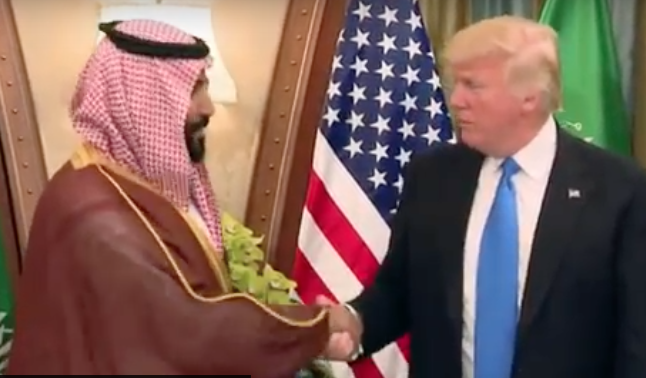 The quid pro quo was: that U.S. and Israel jointly would act to weaken and circumscribe (Saudi’s nemesis) Iran, and that Israel would move pari passu with the bin Salman-led incremental normalization with Israel, to somehow improve the Palestinian issue. The ability of the U.S. to “roll back” Iran in Syria, Iraq or Lebanon, seems too, to have been over-estimated by the West Wing, which has become a kind of “alt-State Department.” The West Wing seems to have ignored the new reality of a now geographically interconnected Lebanon-Syria-Iraq-Iran axis, and of the import of military mobilization of the Shi’a now taking place in Iraq. Equally, it seems to have overlooked that there never was Sunni unity in opposing Iran, that there never has been unity of purpose within the GCC, and that there is little appetite amongst Sunni states for some new Saudi hegemony to arise. The ability of Saudi Arabia to move beyond some limited confidence measures (such as in guaranteeing sea passage as a part of the Camp David Accords, over-flights and the establishment of telecommunications with Israel) are plainly very limited indeed – without commensurate and substantive Israeli moves to alleviate the Palestinian plight. Neither Saudi Arabia nor any other Muslim state will accept any outcome that prejudices the position of Jerusalem, in the eyes of the Islamic world. And that is what Israeli Prime Minister Benjamin Netanyahu cannot give (without losing his government). He can make almost no concessions to the Palestinians and still keep his coalition intact. He is apt to hint at being able to do more, and perhaps the West Wing took these expressions literally, (they will not have been the first to make this mistake). Even the weakened Palestinian leadership cannot afford to bend on Jerusalem. Sunni Arab leaders may be fed up with the Palestinian issue, but they understand that to mess with the status of Jerusalem is to touch the electric “rail” that can undo their own legitimacy. How will this end? It is too early to judge the impact in Saudi Arabia. It may prove to be indeed “game-changing,” but for Israel, the default position will be to continue “managing” and continuing, the present status quo, in respect to the Palestinians. The exception to this “more of the same” meme, could be that Israel’s current attempt to form a cordon sanitaire around occupied Golan and to push back Syrian forces – especially Iranian partner forces – could end with some sort of military escalation. Israeli officials express concern that once ISIS in Raqa’a falls, that the US will do a deal with Russia – and move on – leaving the Syrian government and its “partner forces” sitting on the Golan, on the other side of the Armistice Line – to Israel’s deep chagrin. Not surprisingly, Israel’s allies are mobilizing to “keep the United States on the right side — i.e., its side — of the conflict.” Already the neocons espy that, with the air going out from the West Wing’s “Great Alliance,” a hole in U.S. foreign policy has opened up – into which Israeli concerns can be inserted. It is no coincidence that we have Mark Dubowitz calling for full-spectrum, overt and covert, U.S. offensive against Iran in the Wall Street Journal, and Ray Takeyh in the Washington Post at the same time, insisting that “Its Time to Prepare for Iran’s Political Collapse.” In effect, these commentators are calling on America to resurrect again, its Cold War ethos and instincts. It seems rather, that it may be slowly dawning on the U.S. Administration that all this neocon foreign policy advice stove-piped into the West Wing is leaving the U.S. President with nothing to say when he talks to Russian President Vladimir Putin. Secretary of State Rex Tillerson’s pre-G-20 statement on Syria, saying effectively that Syria is in Russia’s hands, may reflect a first appreciation of this dilemma. Trump is in a weakened state (as a result of the Russia brouhaha). Meanwhile, Putin’s principal concerns are ballistic missiles, nuclear weapons, NATO expansion, and the strategic balance. 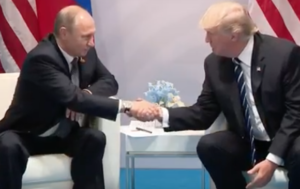 To the degree that Trump says anything resembling an understanding of Putin’s deep concerns, Trump will unleash the hounds of the Liberal Establishment, baying at him, with the cry, “collaborator” (which is pretty much what happened after the Trump-Putin meeting at the G-20). And ditto for Ukraine (apart from uttering some banalities about the importance of Minsk – though Tillerson can quietly follow up, more substantively, later). What the Gulf and Israel’s allies have done with their agenda of cordons sanitaire along Syria’s borders, of roll-back of Iran and Hizbullah in Syria, of balkanization of Syria, and of the attempted severance of Iran from Syria (via a Kurdish wedge), is to leave Trump empty-handed. What can Trump offer Putin in the war on ISIS (beyond obstructions to Putin’s allies — and to Putin’s objective to maintain the infrastructure and territory of the Syrian State, intact), that Putin might welcome, and find useful? Equally, how can Putin assist Trump when the U.S. agenda avoids, like the plague, any and all association with the very forces trying to establish stability in Syria? Tillerson’s statement just might be the first hint that these considerations are being given serious thought (such as the Putin-Trump agreement on a partial cease-fire in southwest Syria). We shall see, soon enough. We have to get the courage to expose the lies of Jewish History from those imaginary Bible days to the present day. Iran has been doomed for decades & AIPAC & the American Jewish/Zionist Israeli lobby will ADVISE the Donald & all US Administrationons as to what course to take.. The real game changer is the Grand Ayatullah Ali Al-Sistani’s fatwa mobilizing the Iraqi people to fight ISIS. Now Iraq has a war-hardened army of hundreds of thousands volunteers that have been incorporated into the main stream armed forces. Neither Saudi Arabia nor Israel has the will to sacrifice a single human life of their citizens. 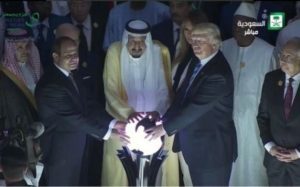 The US went into the Middle East at the urging of the neocons/Israel and are now caught up in the Wahhabi web. The west still doesn’t undersstand much about Islam. Saudi Arabia is not much interested in Islam or the Muslims. They only provide lip service to the Palestinian cause. What Saudis practice and what Islam teaches are two different things. The Saudis will make and have made deals with the devil to keep the reigns of the country in the Ibn Saud Dynasty. With the elevation of MbS to the Crown Prince position even that is in jeopardy from within the royal family. The new found Sunni unity will not hold because Sunni doctrine and Wahhabism are not compatible. Yes and Iraq just bought some new tanks that really work in the desert. Iraq getting closer to Russia and working with Syrian army at the border. Messing around in the tangled webs of the Middle East seems like the ideal way to trigger WWIII. What more is there to say about it; it’s obvious that we really have no business there. Everything we have done in the Middle East has fostered a growing disaster. It’s all a consequence of the fatal plan to rule the Earth. When WWII ended the US decided we were destined to rule the world. Everything done since then has had this insane premise at it’s root. Unless we get some realism and humility about America’s role in the world, we are going to destroy the world in the name of saving it. …a perceptive analysis of a very complex situation. What will happen when the Daesh militants are forced out of Syria and Iraq? Some no doubt will continue to infiltrate the refugees fleeing to Europe, but many will return and blend in among their supporters in the Arabian Peninsula and prepare for the next jihad. Another wild card in the Trump/ Putin rapport could be Turkey. What kind of mischief will Erdogan create to prevent the YPG from retaining territory in Syria. I would bet some dollars that the minute after Trump first mentioned détente with Russia in his campaign the Zios went to work formulating the Russian hack story and issuing orders to the msm to hype 24/7 anti Russia hysterics. Russia is a total game changer in the ME for Israel and for Saudi. This has gone on so long I cant remember, if I ever knew. who the *first person* was to claim Russia hacked the DNC. It came from the Hillary camp but who was the person who suggested using it? “April 2016: DNC network administrators first notice suspicious activity on Committee computer networks in late April, 2016, according to The Washington Post. The DNC retains the services of network security firm Crowdstrike which expels hackers from the DNC computer network. Crowdstrike tells The Washington Post it believes hackers had been operating inside the DNC networks since the Summer of 2015. “June 16th, 2015: Donald Trump announces his candidacy for President of the United States. Summer of 2015? And they left it until April/May of 2016 to contact Crowdstrike? The DNC only acted when they did because they KNEW what was taken (whoops) AND they knew it was an inside job. Had they not known this, they would have gladly handed over their servers to the FBI. The FBI, led by James Comey, would never have seized the servers, nor gladly accept them, because the FBI hack would have become obvious to the FBI’s IT team.